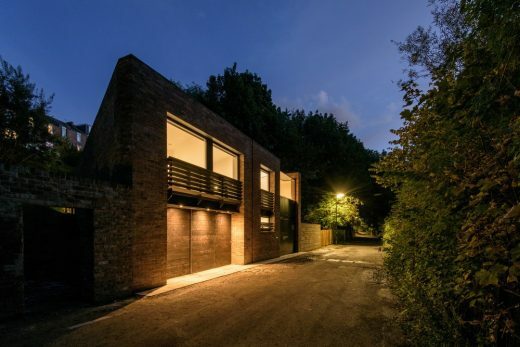 Ouseburn Road is one of twelve buildings shortlisted for RIBA North East Awards 2018 by Royal Institute of British Architects judges. The winners will be announced at an awards ceremony at The Museum Gardens, York on 24 May. Two of Scotland’s largest and most recognised Architectural Partnerships have merged. A new architectural practice, forged from two of Scotland’s longest-established and well-recognised firms, has been created comprising Glasgow-based firms Holmes Partnership and The Miller Partnership, to form a fresh national practice with a growing portfolio of international projects. Reflecting the strong brand name of each firm the new practice will retain the names of the original founders and is now known as Holmes Miller. Each practice has a strong UK workload, with recent awards of significant public and private projects in UK, China and India. The values ‘Dedicated, Open & Creative‘ will continue to be at the core of the new business. The new practice will continue to operate from purpose designed offices at 89 Minerva Street, Glasgow utilising ICT systems designed to support international workloads and time zones. This prestigious development designed by this architecture firm involves the construction of the north-east and north-west quadrants – unifying the stadium by reinforcing the `bowl’ concept on the upper seating decks and linking the main east stand to the north and west stands by a high quality facade. The £23 m project designed by this architecture practice in Kennington for Surrey County Cricket Club involved the demolition of the existing stands at the Vauxhall End and replacement with a Stand over 4 levels and a main curved roof, including open air terraces and a living screen running around the façade of the Stand, resulting in an increase in ground capacity at the Oval from 18,500 to 23,000. Architects studio formerly based in Glasgow, Scotland – this design office no longer exists. February 21, 2018 in Architects.